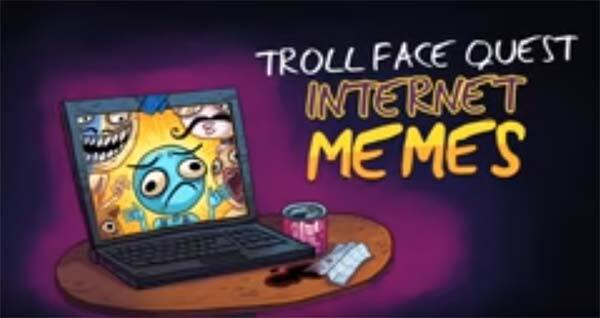 Troll Face Quest Internet Memes is another fun puzzle game by Spil Games. If you love being trolled, you may like this game with new and fun trolling sensation. Troll your way around this wacky world and solve mind-boggling puzzles and beat the wacky memes. The game features 35+ wacky puzzles, these levels will surely make you laugh your lungs out. If you get stuck in the game then check out the video walkthrough for the game. This entry was posted in Android Games, iOS Games, Mobile Games, Online Games, Walkthrough and tagged Troll Face Quest Internet Memes, Troll Face Quest Internet Memes Answers, Troll Face Quest Internet Memes Cheats, Troll Face Quest Internet Memes Help, Troll Face Quest Internet Memes Hints, Troll Face Quest Internet Memes Solutions, Troll Face Quest Internet Memes Tutorials, Troll Face Quest Internet Memes Walkthrough by Marvin. Bookmark the permalink.